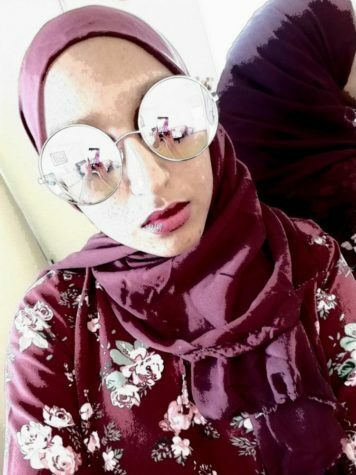 If you hear heels clicking on the floor and turn around to see a sort-of tall, brown girl with a headscarf and oversized, reflective sunglasses, then you're looking at me, Ola Elmahdi, the queen of procrastination, bad choices, and extra-ness (that's a word; I just made it one). I look low-key Indian, but I'm actually North African (surprise!). I joined journalism because I'd like to improve my writing, meet new people, and practice waking up early. I will adamantly refuse to associate with you or speak to you if you haven't read the Harry Potter series and watched all of the movies at least 14,735,679 times(for each book and movie). If you have, then I look forward to working with you!